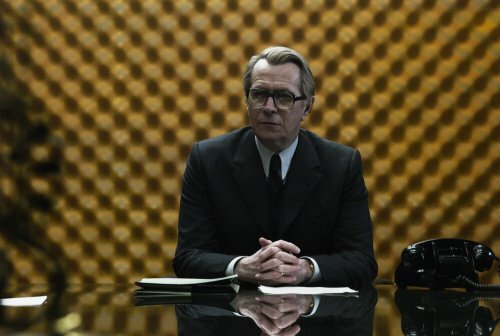 Working Title’s eagerly-awaited TINKER, TAILOR, SOLDIER, SPY, with its all-star cast headed by Gary Oldman as the reactivated MI6 agent George Smiley, has been selected to play In Competition at the Venice International Film Festival on September 5th, which will mark its World premiere. Opening in the United Kingdom on September 16th, through Optimum Releasing, the thriller also stars Kathy Burke, Benedict Cumberbatch, Colin Firth, Tom Hardy, Ciarán Hinds, John Hurt, Toby Jones, Konstantin Khabensky, Svetlana Khodchenkova, Roger Lloyd Pack, and Mark Strong and is directed by Tomas Alfredson (“Let The Right One In”). Set in the 1970s, TINKER, TAILOR, SOLDIER, SPY finds George Smiley, a recently retired MI6 agent, doing his best to adjust to a life outside the secret service. However, when a disgraced agent reappears with information concerning a mole at the heart of the Circus, Smiley is drawn back into the murky field of espionage. Tasked with investigating which of his trusted former colleagues has chosen to betray him and their country, Smiley narrows his search to four suspects - all experienced, urbane, successful agents - but past histories, rivalries and friendships make it far from easy to pinpoint the man who is eating away at the heart of the British establishment.